F.A.Q.s » San Jose Acupuncture Center | Patricia Lambers L.Ac. Acupuncture should not hurt. A momentary prick is often felt around the needle as it is inserted, eventually creating a dull pressure or tingling around the area during the treatment. Most people are amazed by how relaxed they feel during and after the treatment. This can only occur if the treatment is comfortable and gentle. Cash, check, Visa and Master Card are the accepted forms of payment. This is unique to the individual. For most chronic conditions, 6-7 treatments on a weekly basis tend to offer the best outcome. Some people notice an immediate improvement in their health while for others acupuncture tends to have a cumulative effect over several visits. First of all, we pay attention to what you say!! The number one complaint we hear from patients is “My doctor never listens to me” or “My doctor does not believe me.” No one knows more than you do about your mind and body, so it only makes good sense to listen to what you have to say. Our only agenda is to guide you on achieving balance in your mind and body by working with you on your health concerns. 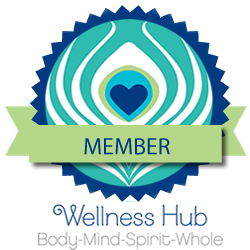 We are not here to judge but to guide you in your wellness journey. We offer a safe, gentle environment…. We love what we do and are devoted to top quality patient care. We take our time with you: 1.5 hours in the first visit and 60 minute follow-ups. We educate you about what’s wrong, why and how it can be healed according to Chinese medical principles. When you get acupuncture treatments, at no extra charge, we give nutritional counseling, herbal consulting, cupping, and moxibustion as needed. Your treatment is personally tailored to your needs. Many acupuncturists use the same protocols on all of their patients. At San Jose Acupuncture Center, your treatment specifically reflects your unique individual dynamics.